Macy Blackburn, a spunky Michigan born firecracker who embraces her weirdness as passionately as she embraces those around her! Macy group up in an artsy household. She recalls acting out dramatic scenes with her family members, informally over dinner or even at football games. Born and raised in Traverse City, MI., she spent a few summers on nearby Mackinack Island. Spending her formative years in such dance and sports intense areas, and growing up with thespian parents, it was predestined that Macy would find her way to the dance and theater world. Macy and her brother danced as the same studio where her father grew up dancing. Her dads dance partner was Macy’s teacher. Being able to carry on that legacy was special to Macy and her family. While growing up where she did instilled a love for theater and dance in Macy, she knew that making a big move across country to Southern California was inevitable. Instead of letting fear hold her back, she left everything and everyone behind that she every knew for a world of uncertainty. So she bit the bullet and made the big move to California just last year, all by herself. This animated, fun loving, Mid-Western girl landed a (fitting) job working at Disneyland as a character performer. Getting to dress up in costume as classic Disney characters allows to her to flex her acting and performance muscles, while interacting with the crowds. She has also performed as a dancer in Disney parades! If you’ve been there recently, you may have literally bumped into her and not known! She has also worked at Knott’s Berry Farm during their special annual Halloween haunted house themed event called “Knott’s Scary Farm.” Here she also gets to dress up in scary, dramatic costumes and makeup, while scaring the crowds, something she really enjoys. Macy has also recently worked her acting chops in local theater renditions of classic plays. Just this past year a friend told Macy that there was a job opening at ATOMIC. Macy is grateful to have landed the front desk position, which she credits for exposing her to a wider variety of dance styles and meeting many wonderful, new people. 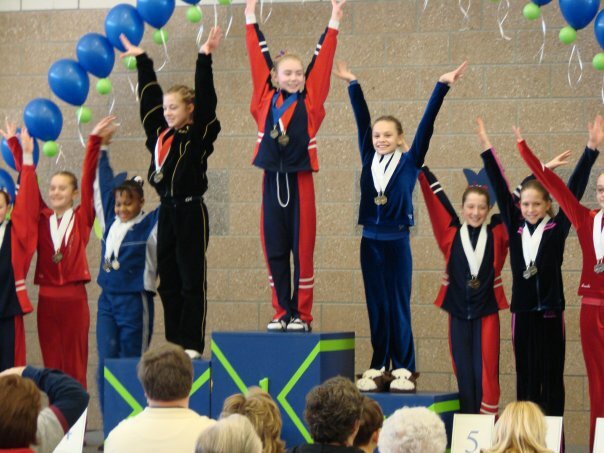 As a competitive gymnast, Macy takes the podium during awards ceremony. While Macy mainly did gymnastics and danced hip-hop street styles growing up, she did learn a bit of waltz and cha cha in high school. She first became interested in ballroom after watching Dancing With the Stars many years ago, and has since fallen in love with it even more since being employed at ATOMIC. In addition to ballroom, she has a love for popular music and dance, and prides herself on her strong sense of musicality. Her favorite artists are Michael Jackson and Bruno Mars, in part due to their stunning musicality, showmanship and their incredible songwriting and dance abilities. She also loves EDM (electronic dance music) “due to its many musical layers,” she adds. Her favorite dance icons are Gene Kelley and Kaycee Rice (spanning genres and many generations). Dance has become such a passion of hers that her ultimate dream is fulfilling two of her greatest passions, dance and travel, by dancing on cruise ships. If that isn’t an option, she’d be thrilled to work as a travel agent (no surprise there! ), or even a dental hygienist (so that she’d still be able to keep dance a priority. Macy says that her favorite thing about working at ATOMIC is the staff. While she may not spend much time with fellow staff outside of the studio, seeing different coworkers on the job always puts a smile on her face. 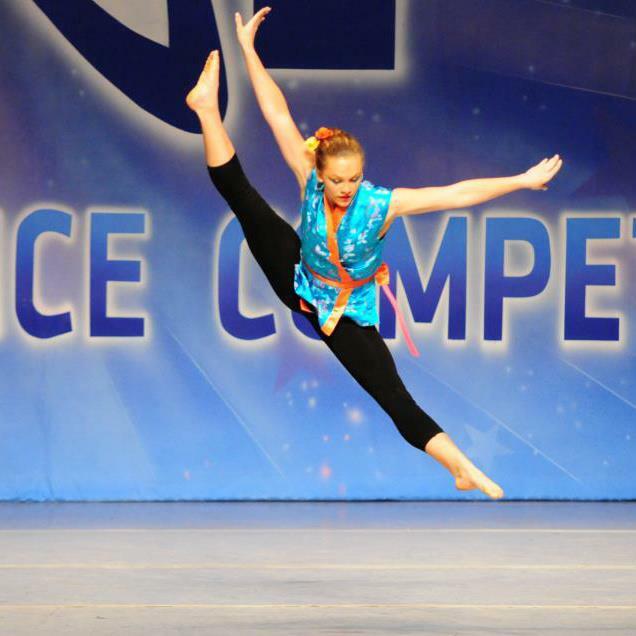 Thanks to ATOMIC she continues to grow in her dance journey, and thanks to dance, her grace, posture and gymnastics have improved, she found her way to California, and she discovered a rewarding career that brings her tremendous joy and satisfaction. Some people would be surprised to learn that Macy was a gymnast for 13 years, and despite breaking her ankle, can still perform many of the tricks. Hobbies include – snowboarding, long boarding, dance (of course), watching and performing in musicals, and scaring people during Halloween (yes, listed as an “official hobby of hers)! Dream superpower she’d like to have – Teleportation or ‘stomach powers’, “Where I could eat as much ice cream as I want without getting sick,” she emphatically states! Guilty pleasure – Dancing in her car, and eating lots of ice cream, her favorite food. Confesses she’d eat it three times a day if she could.